Sol 1505, October 30, 2016. 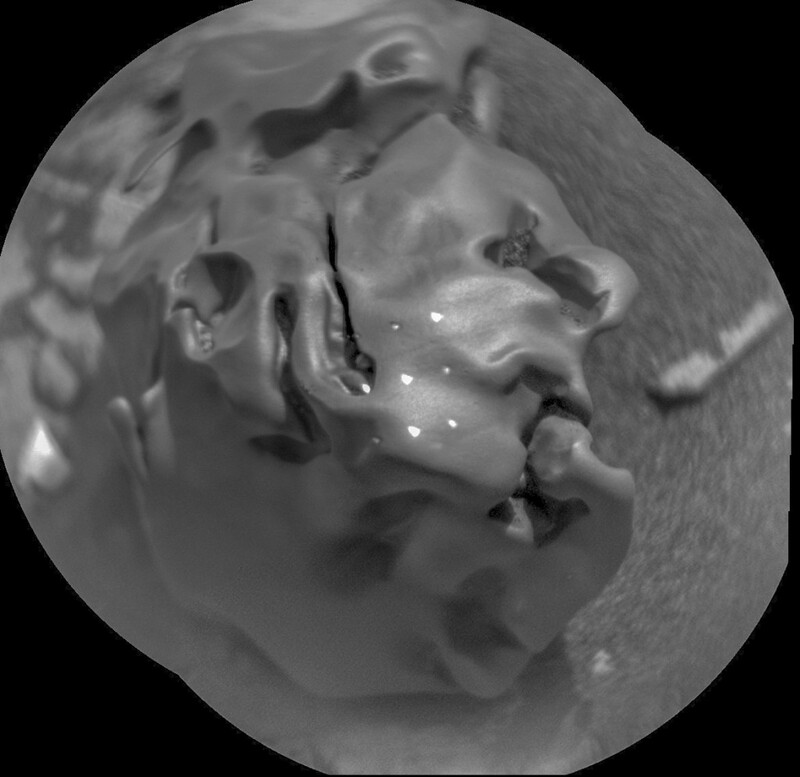 The ChemCam’s Remote Micro-Imager (RMI) nabbed a two-frame portrait of Egg Rock, a small meteorite, probably nickel-iron. The white dots are laser-zap points. 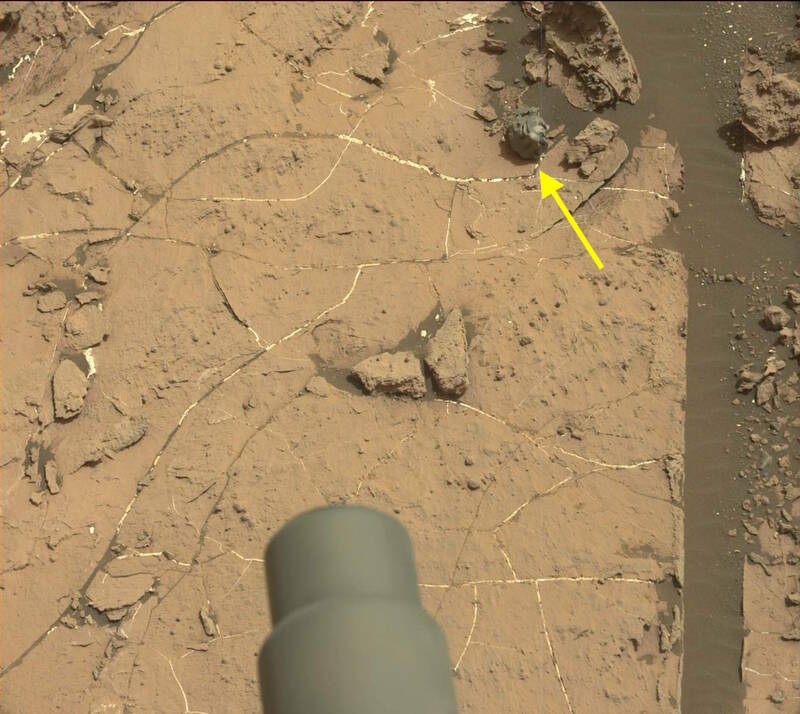 Below: where the meteorite was found (arrow), in a Mastcam frame on Sol 1503. Click either image to enlarge. This entry was posted in Reports and tagged Aeolis Mons, Curiosity, Egg Rock, Gale Crater, Mars meteorites, Mars Science Laboratory, Mount Sharp, MSL, Murray Formation, NASA, nickel-iron meteorites, Stimson Formation. Bookmark the permalink.